Nature, the leading, international weekly journal of science has selected LSU Boyd Professor Isiah Warner for the Nature Award for Mentoring in Science. The Nature Awards for Mentoring in Science were founded in 2005 to celebrate mentorship, a crucial component of scientific career development that too often goes overlooked and unrewarded. 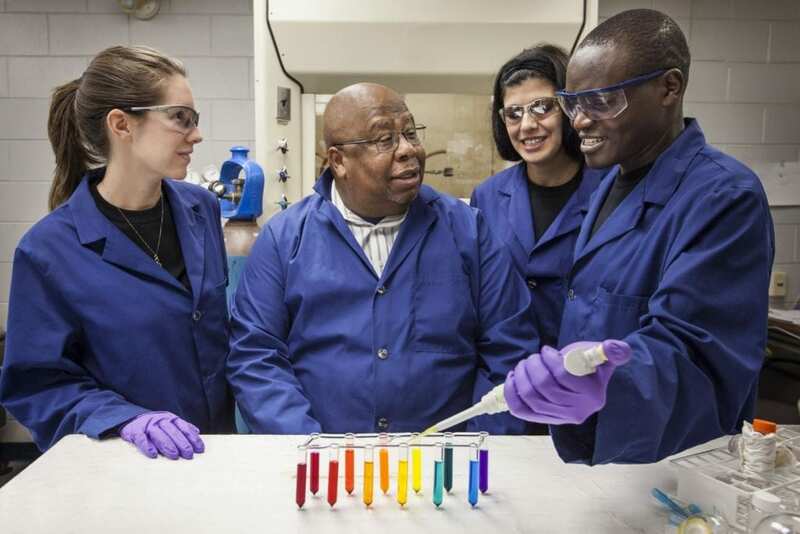 Through Warner’s leadership and mentorship, the LSU Department of Chemistry has become the leading producer of doctoral degrees in chemistry for African Americans in the U.S. Under his direction, the LSU Office of Strategic Initiatives has mentored countless numbers of students across eight programs from the high school to doctoral levels. “I am delighted at the achievements of our awards winners, including Dr. Warner, and I am especially delighted this year at the diversity of their experiences and of their commitments to mentoring. I know that the judges had a strong field of applicants. It’s terrific for Nature to be able to celebrate researchers who have been so outstanding in their encouragement of a strong scientific ethos in those who come after them,” said Sir Philip Campbell, editor-in-chief of Springer Nature. Warner is considered one of the world’s experts in analytical applications of fluorescence spectroscopy. His research aims to develop and apply chemical, instrumental and mathematical measurements to solve fundamental questions in chemistry. Warner has recently been recognized as the 2016 SEC Professor of the Year, member of the American Academy of Arts and Sciences, Fellow of the National Academy of Inventors, American Chemical Society, Royal Society of Chemistry and American Association for Advancement of the Sciences. He also received the Presidential Award for Excellence in Science, Mathematics and Engineering Mentoring from President Clinton and the American Chemical Society Award for Encouraging Disadvantaged Students into the Sciences. “Dr. Warner’s dedication to teaching, service and research embodies the LSU mission. We congratulate him on this international recognition,” said LSU President F. King Alexander. Warner is also the Phillip W. West Professor of Chemistry, Howard Hughes Medical Institute Professor at LSU and has achieved the highest professorial rank in the LSU system — LSU Boyd Professor. Each year, Nature gives the awards in a different geographical region, and this year’s awards honor excellent mentors in the South of the United States. Awardees are nominated by a group of their former trainees, from different stages of the mentor’s professional life; and the winners of the awards have demonstrated outstanding mentorship throughout their careers. A special reception with executives from Nature will be held for Warner on Monday, Jan. 14 at 3 p.m. at the French House located in the LSU Roger Hadfield Ogden Honors College.